Christmas is over, my son is married, and I am excited to share some of the things I have learned about Homemaking as a mother of 13 children! First of all, I want to make it clear that I am not claiming to be The Perfect Homemaker with a pristine house, or an organizing guru, or a devoted scheduler. TRUST ME-- I am NONE of those things. However, I am a homeschooling mother of thirteen children who is actually able to keep my head above water in the homemaking department, even while running businesses, and doing other things that I love, like this. I have been studying homemaking and managing a household for MANY years-- not to mention two plus decades of life experience under my belt-- and now that my daughters are beginning to grow into lovely women, there is sooo much I want to share with them so that they will be better-equipped than I was to manage a thriving home. I want to make this new series one that I would (and will!) share with my own daughters, who are growing up into amazing women. And so, I plan to write this series as a number of love letters to my own girls. It is my prayer that these ideas might help other mothers, or simply inspire them to keep trying, keep improving, and keep devoting themselves to the beautiful life of old-fashioned motherhood. In the last 24 years of homemaking, I have had many ups and downs. 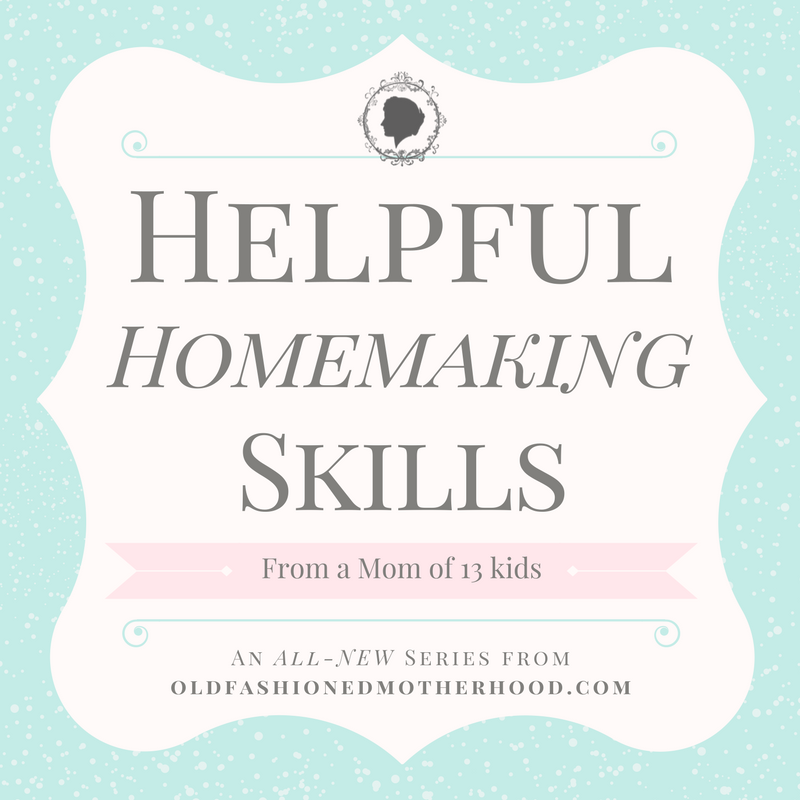 I began my homemaking journey knowing some sewing, some basic cleaning, how to change diapers and make bottles, how to bake some treats, do my own laundry, and how to make a few meals. You see, Homemaking is just one facet of the beautiful gem we call motherhood. But it is the embodiment of Christlike service that we women are called by God to do. It is the physical evidence of our love for our families, our husbands, our children. Homemaking is love in action. This vision of your role as a homemaker will help you keep going when the day-to-day repetition discourages you, or when you are so tired you can hardly stand, or when another child starts to come down with a sickness you already nursed his sister through. Knowing that you are demonstrating your love for your husband, your child, and your Father in Heaven will make the difficulties of your duties more bearable. So, as I begin these series of letters filled with the practicalities of Homemaking, never, never forget that what you will be accomplishing is a Divine Directive given just for you and your improvement. From the moment you become the queen of your own households, you will be creating your future, eternal selves-- women more glorious and refined than you can begin to imagine. You see, none of the work you will be doing is about doing the laundry, scrubbing toilets, or decluttering. It is about building something greater than a more beautiful home. You will be building a more beautiful YOU. I like to think of myself as the Queen of the Kingdom of My Home. That does not mean that I am some kind of tyrant who sits around and bosses my servants all the day long. That is not my true stewardship. As Mother, I truly am the Heart of my home and create the culture my family thrives in. I set the tone. I have the power to bring sweetness or pain. Each of the weekly posts in this series will cover one of the Domains above. I will define each-- how they are different, and my methods for successfully implementing them all. It is my goal to encourage and inspire you all to be the Homemakers that God and your families will need you to be. Until next week and a post on the "Systems" I use to manage my full house! I love that you are doing this! What a great subject to focue on. I believe that Mother's should be teaching their children these skills andI tried to do just this. I didn't homeschool I admire you for doing this one. 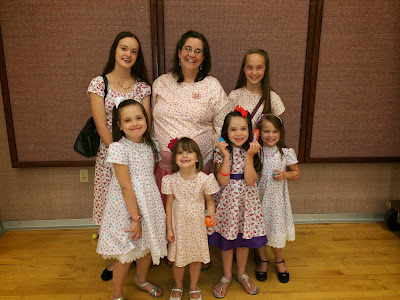 Right now I have one daughter who homeschools and she has 5 children. I will send your link to her. Blessings in this endeavor and hugs too!